No one eats with more reckless abandon while on vacation than I do. Add my constant treat-yourself mentality and you’re looking at a lot of calories consumed on any given out of town trip. 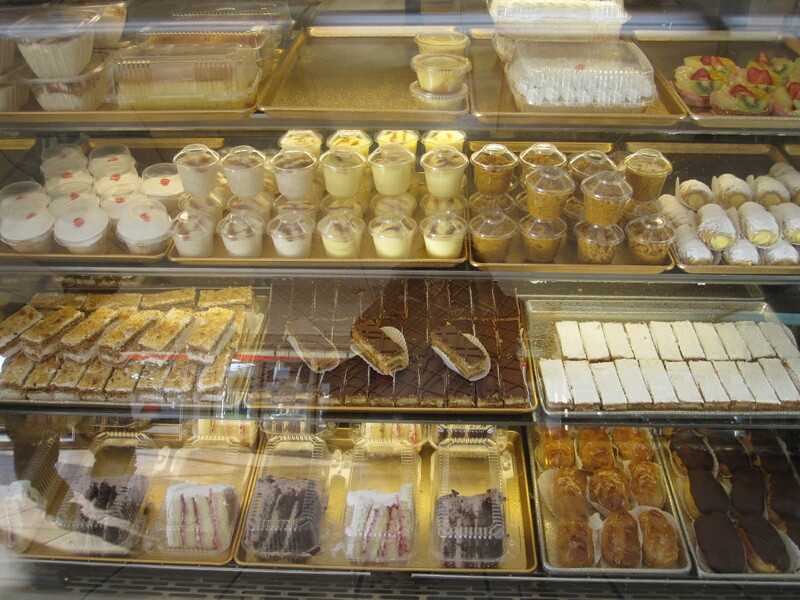 Case in point: my recent jaunt to South Florida. When my sister announced we were having donuts for breakfast Sunday morning, I was fully on board and off we went to Mojo Donuts in Pembroke Pines, the otherwise barren desert of strip malls and gated communities. While I’m a lover of just a plain ol’ French cruller or a classic Boston cream, my sister loves really over-the-top donuts, filled with jams and custards, crusted with all manner of confections and drizzled with syrups and sticky, sugary things. Mojo was one hundred percent my sister’s kind of donut shop, but you know what? I thought it was pretty great, too. For a light breakfast to start off a day that would end up with me in a bikini by the pool, we went with a red velvet, banana cream pie, pistachio mousse chocolate, cannoli, guava and cheese, and Nutella and bacon assortment of donuts. Completely over the top? Uhm, yea. Gluttonous as all hell? Duh. Finger lickin’ good and a perflectly acceptable way to bond with your sibling over your shared love of carbs and sugar when you have little else in common? Absolutely. So when I was in Miami looking for a place to eat dinner with my mom, sister and boyfriend, and my best friend (who was also joining us) suggested LoKal, a new Coconut Grove burger joint and craft beer watering hole, I was all about it. Burgers aaaaand beer? DONE. 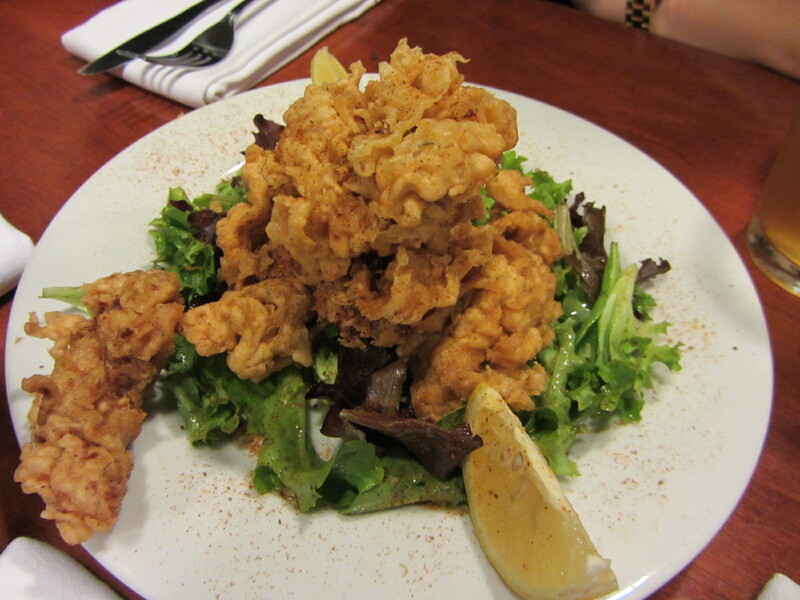 To start things off right, and maybe in honor of my being back in the Sunshine State, we ordered a plate of something quintessentially Floridian that I had actually never eaten: alligator. Fat, juicy strips of tender white alligator meat were battered, fried and seasoned with Old Bay, and served with a tangy marinara sauce and spicy mayo. So did they taste like chicken? Yea, kind of. Were they good? Absolutely. 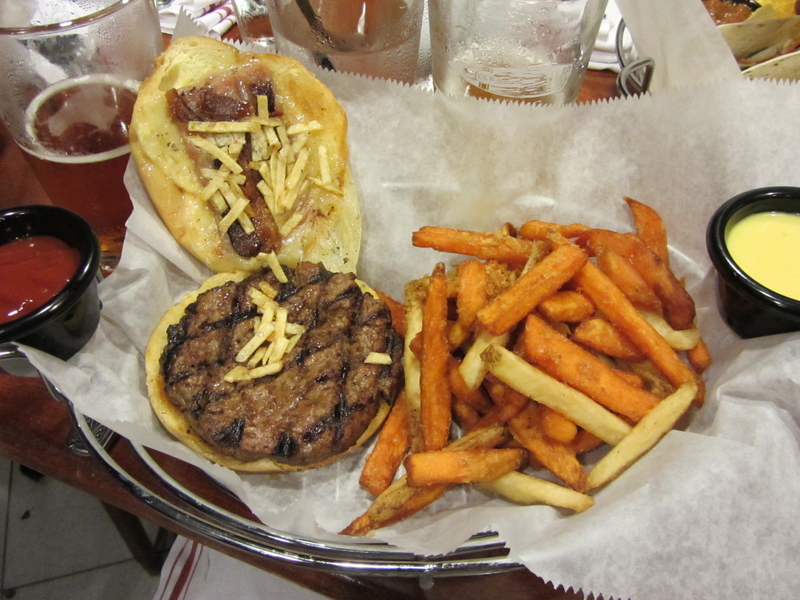 She may not be the prettiest burger, but the Frita makes up for it in pure guava-cheesey-bacon goodness! The burgers all sounded good, if not completely over the top, with toppings like chili, tons of bacon, blue cheese and one that even came served on a doughnut. I’m a bit of an over-the-top eater myself, so I went with the Frita: a juicy, medium-rare (cause that’s how I roll) patty topped with guava jelly, bacon, crunchy potato sticks, and gruyère. At first I was a little sad because I couldn’t taste the guava, and really that’s what sold me on it, but a couple of bites in I got to it and all was forgiven. The jammy sweetness of the guava, mixed in with the salty crunch of the bacon, the crispy potato bits and the gooey, melted cheese all over that juicy, soft patty made for near perfect deliciousness! And to make matters even better, LoKal’s patties, ground fresh in-house, are made from free-range, grass fed, hormone free cows, all of which makes me feel much better about the 5 million calories I ingested. Oh and instead of making me choose between regular and sweet potato fries, I was able to do 50/50… at NO ADDITIONAL COST. Can you believe it? All for just $11! In New York, that would’ve been pushing $20. In keeping with the Florida fat-kid theme, I went with the one thing I absolutelyhaveto have whenever I’m in town, key lime pie. 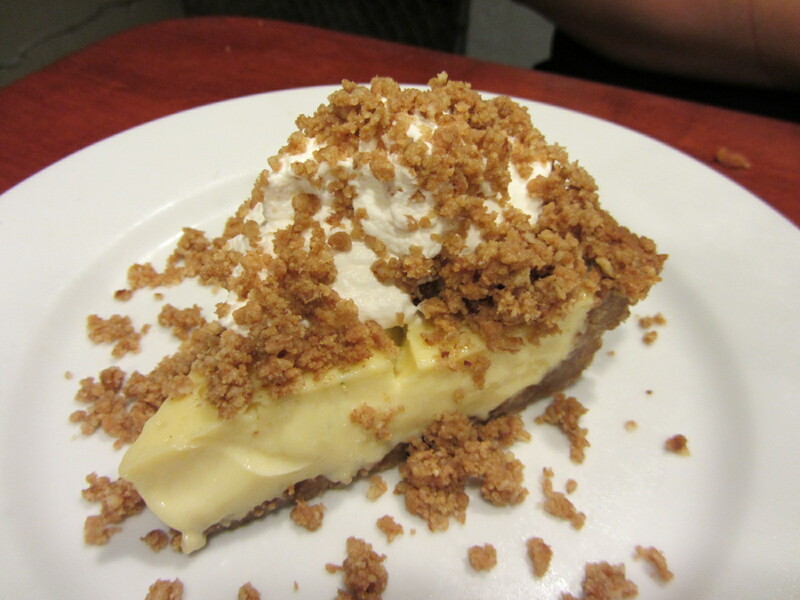 LoKal’s was a huge slice of creamy, cool, zesty lime custard on a crunchy graham cracker crust topped with a fluffy mountain of fresh whipped cream and graham cracker crumbles. It had the all the rights amount of sweet, tart, tangy and creamy that make it one of my favorites. It was the perfect way to end a really affordable, easy and just damn-good burger outing. And really, I’m always in the mood for one of those.